According to Startup Ecosystem Report published by San Francisco based startup benchmarking firm Compass, Bengaluru is the world’s 15th best startup ecosystem, up from 19 in the last report published in 2012. 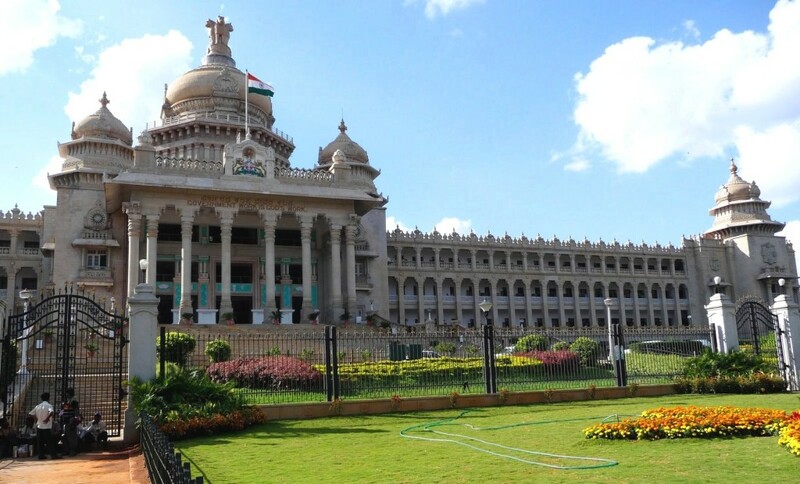 Bengaluru is rated on five parameters – funding, market reach, talent, experience, and performance of startups. Bangalore based startups like Flipkart, Myntra, InMobi and Ola would probably vouch for it. In the report Bengaluru ranked 10 on valuation and number of startups and 6 in access to funding, but fell behind in market and talent reach. Sharad Sharma, cofounder and CEO of iSPIRT, believes the metrics to be understated. “Bengaluru has the best reach into digital consumers in India… this kind of reach is not there in any other place other than SV and China. Bengaluru is where people come together, inspired by the open-source model, to build public goods at a scale that is not seen anywhere else other than Silicon Valley”, he said. In the report Bengaluru is praised for showing five-fold increasing in exits, quadrupling VC investment, and for having the highest growth in the number of seed investments. 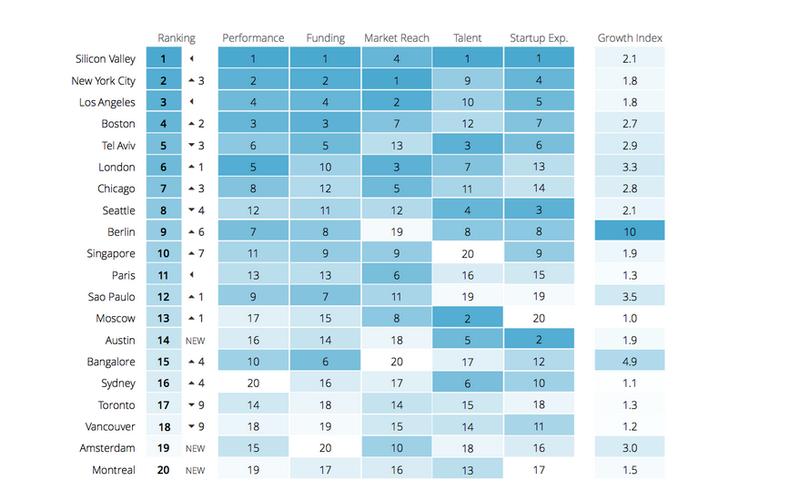 Growth index of the startup giant city scored second globally, with Berlin being on the top. Tel Aviv, Berlin and Singapore top the list. Besides Bengaluru, Singapore is the only Asian country to jump to 10th position from 17th in 2012. It scored high on funding access, market reach and startup experience but lags behind in talent access. China, Japan and South Korea are excluded from the report due to language constraints in data collection. “Bengaluru has all the ingredients to beat any other part of the world outside of the Silicon Valley. No other city is able to offer such breadth and depth of potential across services, data analytic, and hardware startups that are both global and domestic-facing,” said Gururaj.